How Do I Roof recoloring in TS3: existing tutorials? 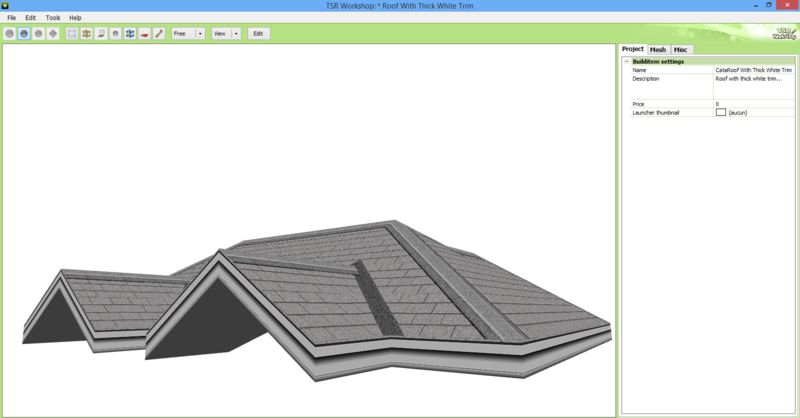 Roof recoloring in TS3: existing tutorials? Hi, after some researches on the net, I didn't find anything so I was wondering if anyone here knew if there exists any tutorial to help with roof recoloring in The Sims 3. I truly have no idea how to begin with. As I didn't find anything that suits me concerning roof recolors in the third game, I told myself that I would do it myself. EDIT: I think I found something: TSRW software. But there is no tutorial about roof recoloring on that website. I've all the same downloaded the program and will tell you if I manage to find out how to do. poisson, proud to be a member of LeeFish since February 2014; better late than never! No one can tell me how I should proceed? I can't I'm sorry - then only suggestion I can make is, have you asked over at MTS? They're generally the ones who know. Ok, have just posted a thread on MTS explaining my problem. Thank you Kiri!